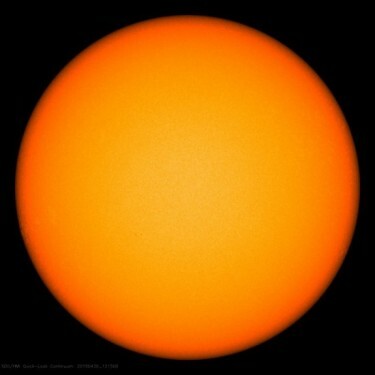 The sun started “taking a nap” with many less sunspots than typical towards the end of the last solar cycle. It’s still asleep in this solar cycle, and that nap could continue into the next cycle as well. When the heat engine of our solar system is on Idle, does this mean cooler weather for all the planets, including ours? So, this cycle is quite a No-Show, and the end of the last cycle was a putz as well. Worse, this cycle’s Maximum was by all counts a Minimum. Ruh-roh Shaggy, we may be in for it. ... if history is a guide, it is safe to say that weak solar activity for a prolonged period of time can have a cooling impact on global temperatures in the troposphere which is the bottom-most layer of Earth’s atmosphere - and where we all live. There have been two notable historical periods with decades-long episodes of low solar activity. The first period is known as the “Maunder Minimum”, named after the solar astronomer Edward Maunder, and it lasted from around 1645 to 1715. The second one is referred to as the “Dalton Minimum”, named for the English meteorologist John Dalton, and it lasted from about 1790 to 1830 (below). Both of these historical periods coincided with colder-than-normal global temperatures in an era now referred to by many scientists as the “Little Ice Age”. I know that last winter was pretty brutal here. This winter seemed nearly as cold, and felt like it came early and stayed late. I know it’s the end of the first week in May, and I had to get up last night to turn the heat on.